There had been one question asked, two ways, prior to Monday’s Hockey Hall of Fame announcement. The questions were answered “yes,” and, surprisingly, “yes.” In a televised announcement, the 2016 Hockey Hall of Fame class was revealed, and In addition to Lindros and former Kings superstar Vachon, included Sergei Makarov and the late Pat Quinn, the latter of whom was honored in the Builders category and coached Los Angeles from 1984-87. The group will be honored in Toronto November 11-14. Vachon, who said that he’s “still in shock” over the announcement, learned of the honor while he was home with his son, Nick. He received a call from Hockey Hall of Fame Chairman Lanny MacDonald, and the mood soon became buoyant and surreal, emotional and nostalgic. He thought of his wife Nicole, who passed away in February after 44 years of marriage. And thus ends the long watch of the player who was first eligible to join the Hall in 1987. His stats depict stability in net during an era in which scoring was more inflated than it is now. 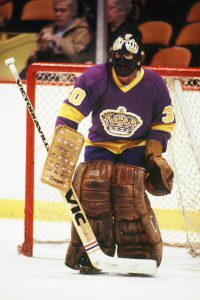 He was 355-291-127 with 51 shutouts in 795 regular season games with the Canadiens, Kings, Red Wings and Bruins, and 171-148-66 with 32 shutouts and 2.86 goals-against average in 389 games with Los Angeles from 1971-78. He won the 1968, 1969 and 1971 Stanley Cups with Montreal. There was perhaps ongoing murmur – and a Facebook advocacy group – if not earnest and active debate over whether Vachon should finally be inducted. To many of those who recalled the early years at the Fabulous Forum, in which Vachon practically willed to life the first Actually Good Kings Team, there was little doubt: Vachon’s absence was an error to be corrected, a snub. And perhaps that was part of the problem. With scant media coverage at the time, and in an outpost far from the league’s traditional footprint, there wasn’t as much of an opportunity for media to take heed of a player who ultimately did some extremely impressive things and forged respectability for an organization that hadn’t yet earned it. “Things have changed now, but in my days, I don’t think we had the publicity that we should’ve had,” he said. Prior to his arrival, there were few accomplishments to draw more acute attention. Vachon helped guide the club to a 33-33-12 record in 1973-74, and from there the club took off, finishing with a record above .500 for the first time by going 42-17-21 in 1974-75, a year in which he narrowly finished as a runner-up for the Hart Trophy and settled for second-team All-Star recognition. The team rattled together three more consecutive seasons above .500, though Los Angeles won only two playoff series – not in the same year – during his decorated tenure. The length of time Kings fans had to wait to watch more competitive hockey hardly compares to the length of time Vachon waited for one phone call. Actually, Ken Dryden came in at the end of the season in 1970-71. He wins the Cup, and he was the MVP of the playoffs, so there was not a whole lot of room for me to stay with the Montreal Canadiens at the time. That summer, I went to see Mr. Sam Pollock the [general] manager, and I asked to be traded because I was still young. I could’ve stayed and played maybe 20 games in Montreal and been the back-up, but at that time I still wanted to be a number one goalie. I didn’t care where I was going, as long as I [could be] the number one. I wound up in L.A. and it worked out very well. We had such an incredible team at that time back in the middle of the 60’s and 70’s. Playing with Hall of Fame [players] like Jean Beliveau and Henri Richard and all these guys, there are so many Hall of Famers from that team, and just being part of it, it was phenomenal. It was a lot of fun. I wish I would’ve played better for the two years I was there. There was a little bit of history, because when I got traded to Detroit, my first year we closed the old Olympia, and the year after we moved into the new building, so it was a very good time. Everybody was excited, and like I said, I wish I would’ve played a little better in Detroit. Things didn’t work out as well as I thought it would, but that’s hockey. I loved it. I loved the city, the fans were fantastic, and they’ve had a great team ever since. It’s really crazy right now. These guys, if you’re not 6’3, 6’4, you’re not going to be drafted. They have a completely different style than we had in the old days. 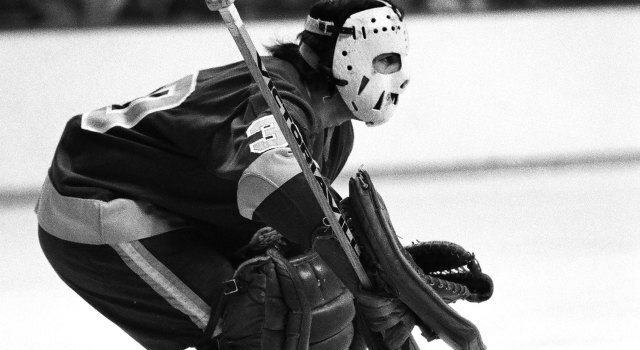 When I first grew up, everything was, ‘you have to stand up.’ You don’t go down on your knees, and that’s the way most of the goalies played in those days. It changed a little bit when tony came in. He started the butterfly, and then the evolution of the goaltending now is completely different, and me, being 5’7, I don’t know if I could survive now in the way they play. I probably have the best story of them all. When I was called up from Houston with the Montreal Canadiens, that night we played at the Forum against Detroit. 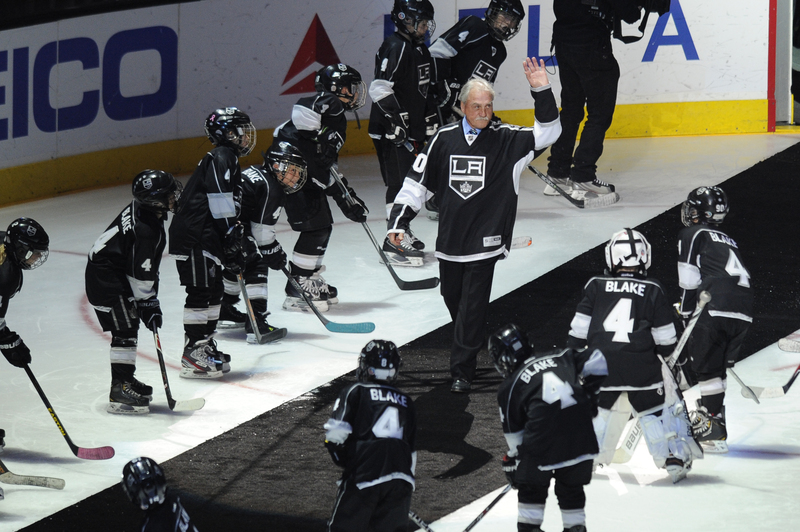 I didn’t know I was going to play that night, and all of a sudden, Toe Blake gave me the puck and I was scared. I went in the net, and my first shot in the National Hockey League was a breakaway by Gordie Howe from the blue line in. I don’t know if I closed my eyes and everything when he shot, but I stopped him, and that probably kept me in the league for 16 years. With my height, my face was right where his elbows are, so it was perfect. I caught a few.